THE GIRL WHO STOLE LONDON: WHAT'S NEW PUSSYCAT? 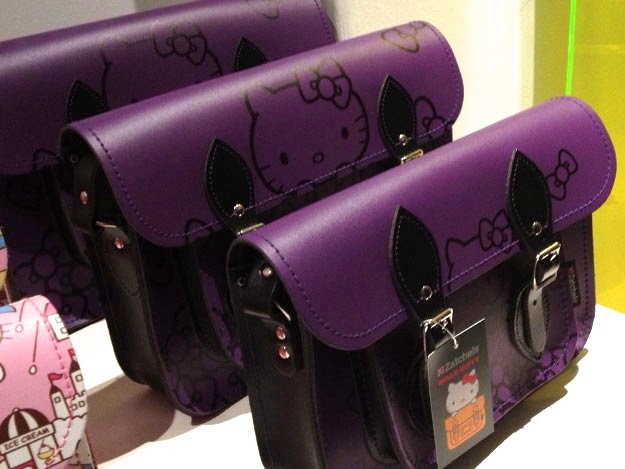 A litter of London's most fabulous felines have clawed their way onto a series of satchels for an exclusive collaboration so incredibly cute it'll make the fiercest of fashionistas purrrrrrrr. 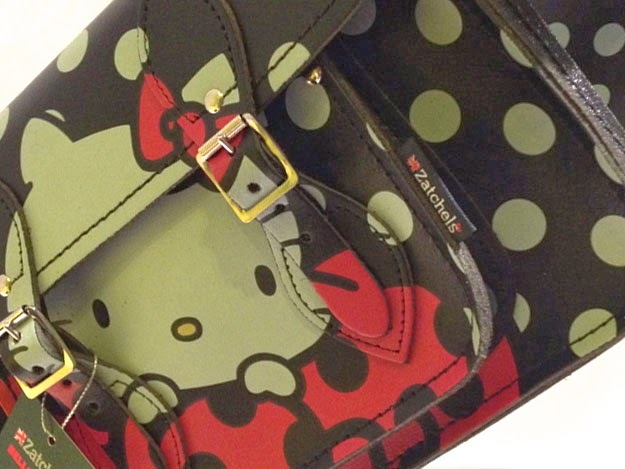 Hello Kitty have teamed up with British label Zatchels to create a range of high quality, sickeningly sweet leather bags that are the ultimate in arm-candy. Last night my partner in GIRL STOLE crime Lereese and I were invited down to the VIP launch of these bespoke beauts and OMG we were worse than kids in a sweet shop - we were bloggers in a bag shop. 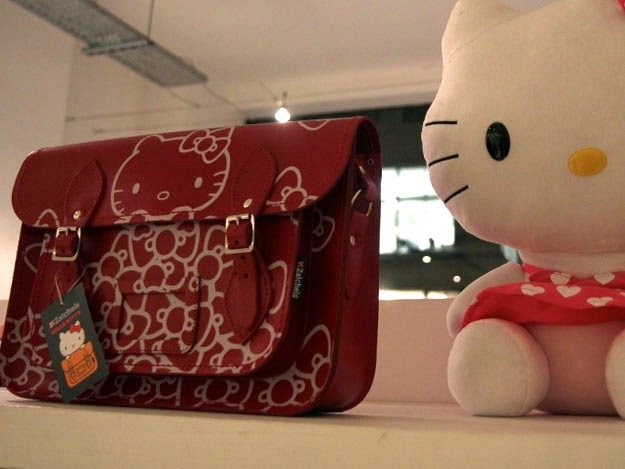 The gorgeous girls from CiCi PR gave us a tour of the hand-crafted adorable accessories which are part of the Hello Kitty Loves UK Manufacturing initiative whereby Kitty will continue to partner with the best of Blighty's fashion brands. 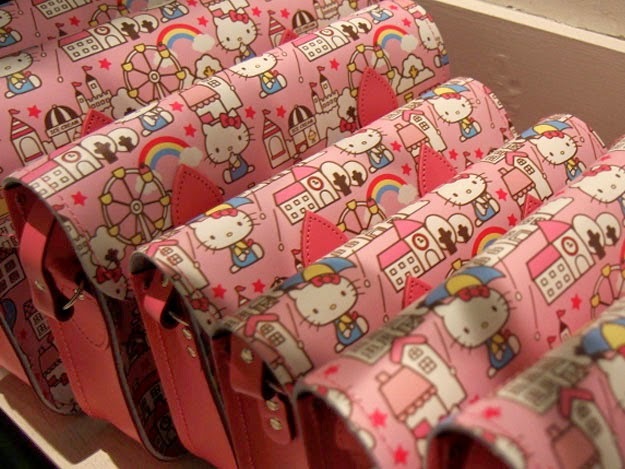 Hello Kitty Hunters anyone?! 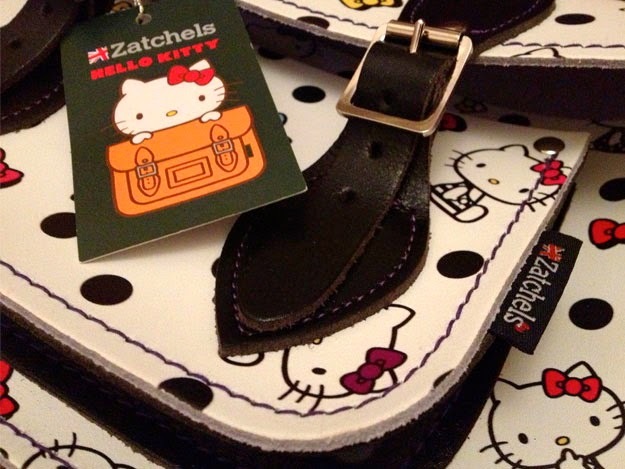 It wasn't just the Hello Kitty collab that had us drooling with delight; the Zatchels SS13 collection was looking good enough to eat too. One word ladies - METALLICS. Yum. We scoffed champagne, mini burgers and Kitty cupcakes (served on Liberty Hello Kitty cake stands natch) before being kindly offered to choose our very own Kitty to take home! 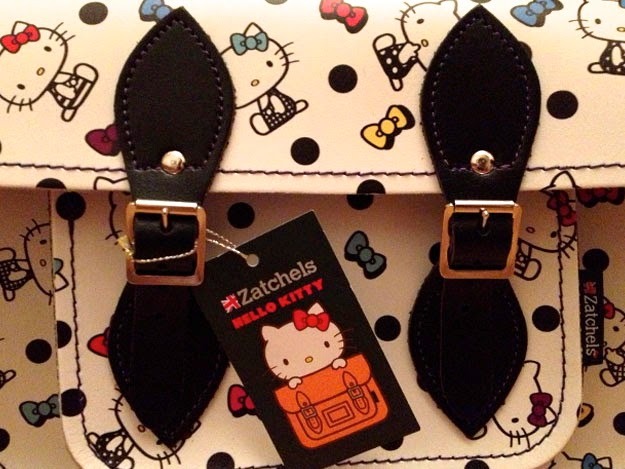 I chose the Polka Dot Bows Satchel which I intend to wear every single day for the foreseeable future. 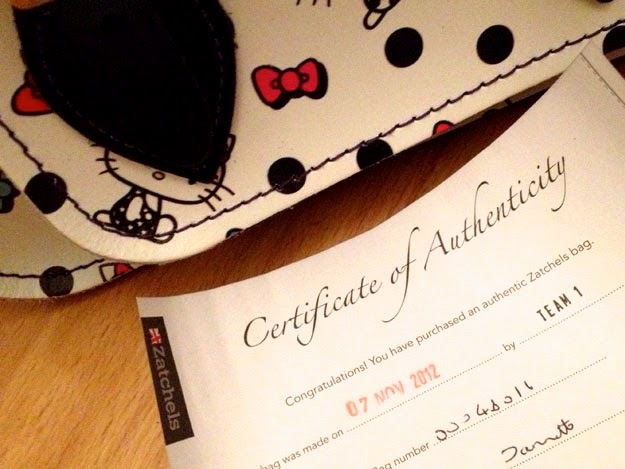 Ranging between £55 and £130 the Zatchels X Hello Kitty Collection will be available at Zatchels.com and selected retailers worldwide. Going out on a limb here but I don't get Hello Kitty. I just don't see the appeal. what can I say my darling. I am a fan of tack. Spandau Ballet the lot.